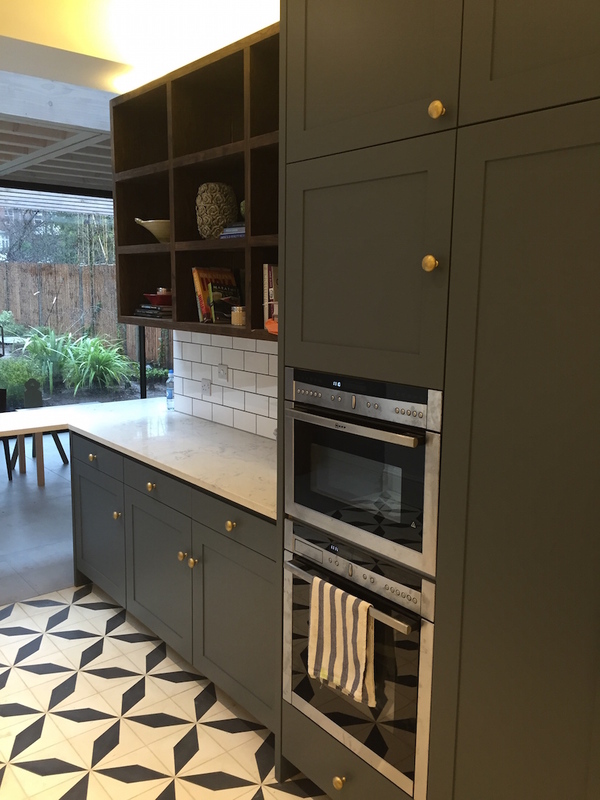 This lovely James Mayor Furniture (JMF) bespoke kitchen, resides within a new extension, in a Victorian detached property in North West London (NW2) – after expert and precise fitting by the JMF fitting team, I was brought in to Hand Paint to the Interior Designers and home owners specification. As is typical with JMF, I quote “off plan”, so I did not see the project, in-the-flesh, until I arrived on in site with my paintbrush in hand. As ever, the project was exactly as I had expected (and quoted for). 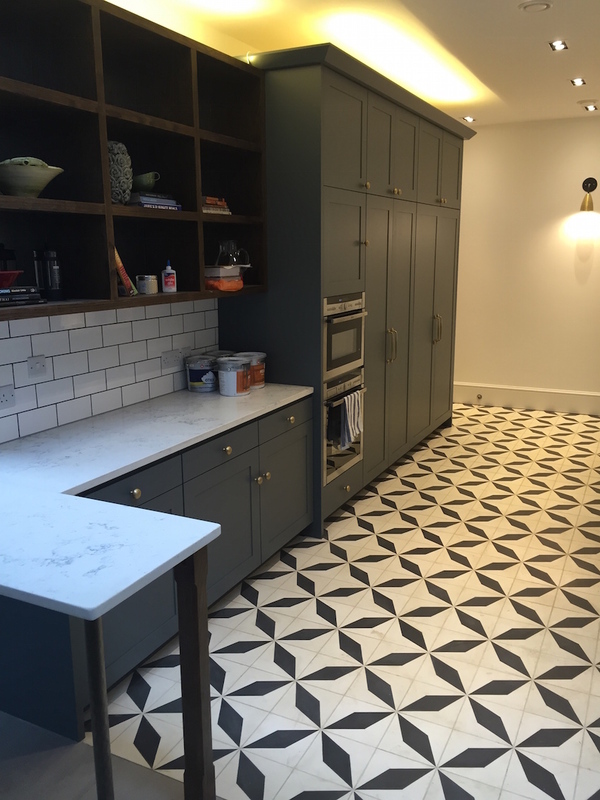 For this project, to help with an ever expanding budget – due to high costs of further building works, I commuted each day from North Birmingham to NW London (120 miles one way)… this is not untypical for me to assist clients as far as possible! The colour choice is an equivalent to “Downpipe”, mixed into my preferred Tikkurila bases – in this case OTEX high adhesion primer and Helmi Matt topcoat. The finish is a beautiful 5% sheen which is durable and easy to keep clean. 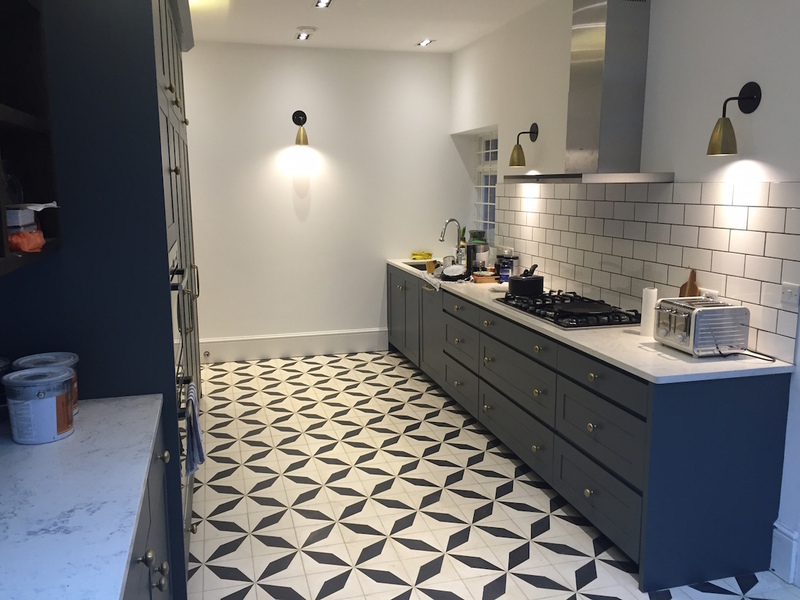 My clients were extremely happy with their finished kitchen – I think it’s a triumph. 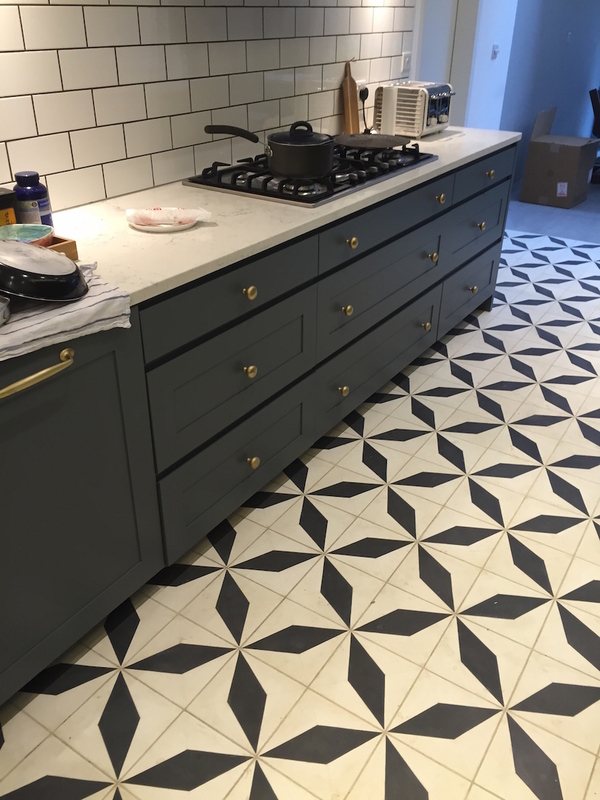 This entry was posted in Uncategorized and tagged Bespoke Handmade Kitchen, Hand Painted, Hand Painted Kitchen, James Mayor Furniture, James Mayor Kitchen, JMF, Tikkurila, Tikkurila Helmi, Tikkurila Otex on January 11, 2015 by mjguestltdblog.